Happy New Year! I'd like to thank everyone for making my epic four and a half hour farewell show at the Lincoln Theatre on December 22nd so special. It was a wonderful night I'll never forget. The place was packed, the audience spectacular. The room felt full of friendship. Everywhere I looked, there seemed to be someone I knew and loved. It was a real pleasure to visit songs over the course of one evening from all of my years as a songwriter and performer. My fellow musicians were fantastic! Robert Sledge, Mandolin Orange, Jeanne Jolly, Jon Shain, The Old Ceremony's Mark Simonsen, and Chatham County Line's Chandler Holt and John Teer added fire to the opening acoustic set. 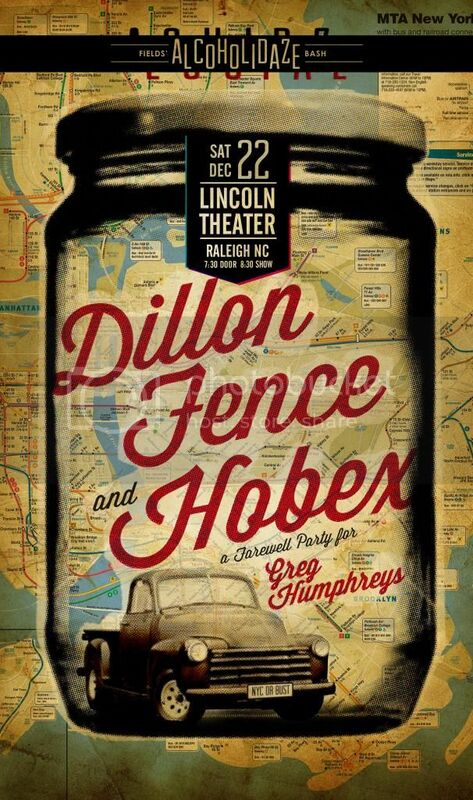 Scott Carle, Chris Goode, Phil Hurley, Kent Alphin, and Daniel Chavis rocked hard on the Dillon Fence set. The connection between our band and our fans amazes me. Andy Ware, Dan Davis, Doug Largent, Cyril Lance, Taz Halloween, Robert Cantrell, Jeanne Jolly, Phil Hurley, Robert Sledge, Peter Lamb, and Paul Rogers grooved into the night on the HOBEX set. We ended with some surprise holiday classics for our revelers. I'm lucky to have such talented friends. Can't thank y'all enough for being there. Special thanks to promoter John Fields and The Lincoln Theatre's Chris Malarkey, Pat Dickenson and Mark Thompson for pulling it together. If you'd like to peruse images from the show, Rodney Boles has posted a gallery here at his website and Ashe Crowe has posted a gallery here at her flickr page. Sound engineer John Koelle recorded the show and Dan Schram and Co. shot some video – we'll have some quality documentation for you, once it's all mixed and edited. Until then, here's some youtube love from the opening set: Rick England's front row vid of Buttons and Strings with Mandolin Orange and Jon Shain, and Eric Chen's vid of Way Over Yonder with Mandolin Orange, Jon Shain, and Chatham County Line's Chandler Holt and John Teer. Very appreciative of the local press support we received. INDYweek ran a great piece by Chris Parker looking back at my 25 years of music-making here in North Carolina. WUNC's The State of Things had me on to talk with host Frank Stasio and play a few tunes – you can listen to or download the SOT podcast, if you missed it. Although I'm moving to NYC, I plan on returning to my home state to play as much as I can. See you all again soon. Have some shows here in the Carolinas before I move at the end of the month. First up will be Q-BEX, the loose and fun collaboration between super-drummer Jeff Sipe, HOBEX bassist Andy Ware, Donna the Buffalo keyboardist Dave McCracken and me. We're playing a rare show in Brevard NC on Friday, January 11, at a great new venue, 185 King Street. You can buy advance tickets here. The following night, Saturday, January 12, I'll be joining Megafaun's Phil Cook for an intimate songwriters-in-the-round evening at The City Tap in Pittsboro, NC. Just added an 8 pm solo show at Hillsborough NC's brand new music venue, Billsborough, on Thursday, January 17. I'll be in Boone, NC for a house-concert-style show at the Nth Gallery on Saturday, January 19. Please RSVP here with host David Brewer if you'd like to attend, as seating is limited. Returning to beautiful Isle of Palms, SC for a solo set at The Windjammer on Sunday, January 20. 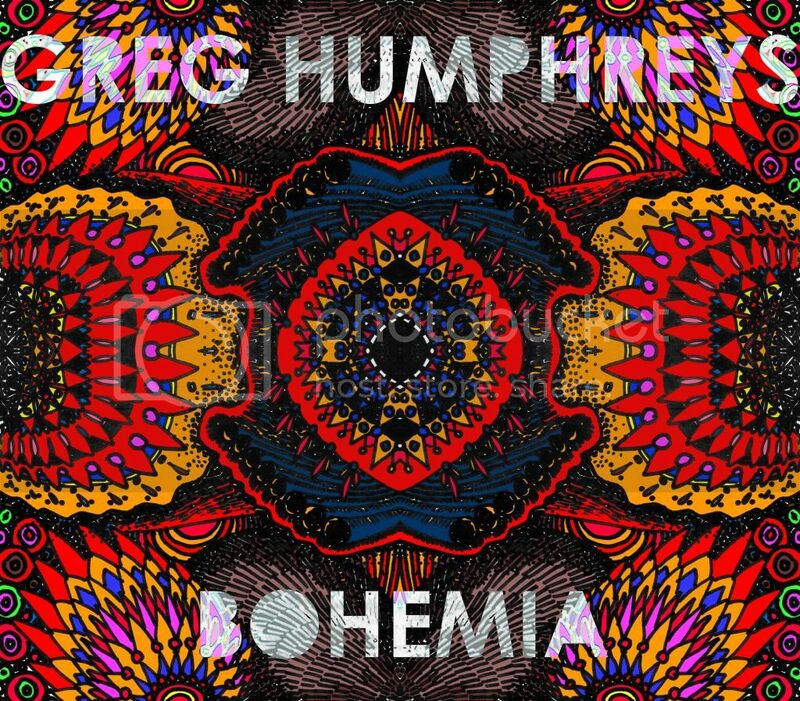 Received the mastered tracks from Colin Leonard at SING Mastering for my new LP Bohemia; very happy with the way they sound. I'll be uploading soon for streaming, iTunes, Amazon etc. Excited for you to hear this album! Bohemia will be released in early 2013 and features musical turns from very talented guests Matt Brandau, Phil Cook, and Lizzy Ross, as well as a song co-written on I-40 with Lizzy and a song co-written on a roof in Prague with Montana singer-songwriter Jessica Kilroy. Bohemia is 9 songs. Some are new, some were written during my last couple of summers spent playing music in Prague, CZ and the EU. It's about leaving, and arriving. You could consider it a love letter or a goodbye note to my home state of North Carolina, where I've lived all of my 45 years. You could also consider it a musical warm-up, setting the stage for new adventures in New York City and beyond. It's of a piece with my previous solo albums Trunk Songs, Realign Your Mind, and People You May Know; mostly acoustic. Mostly recorded here at my studio in Durham NC, with help from friends. Check out the cover I've been working on, using some recent artwork.